Buster Posey called Monday’s extra-innings victory over the Arizona Diamondbacks possibly the best San Francisco Giants win of the season. Fitting that it happened on Labor Day because it was, at times, pretty laborious. 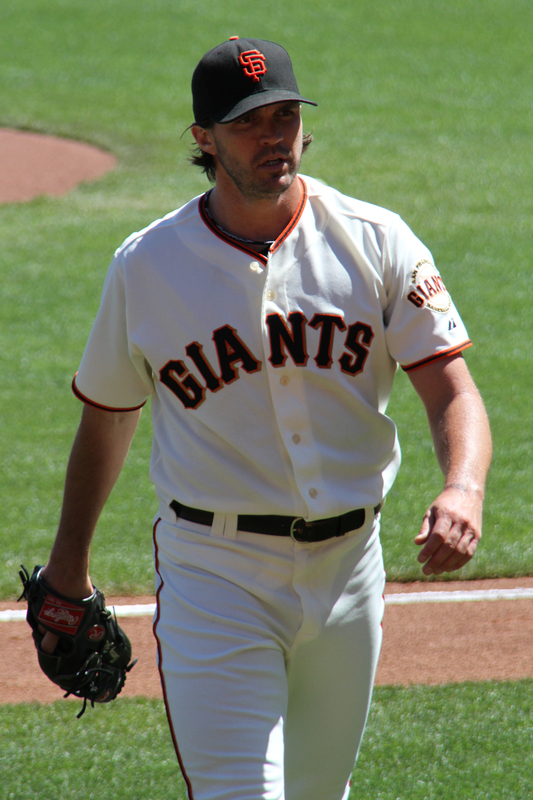 The sixth inning in particular, when Barry Zito blew a four-run lead, felt like breaking rocks. Of course, the Giants’ comeback starting in the eight inning — and punctuated by a Posey-Scutaro one-two punch in the 10th — was made sweeter because so many fans bailed in the seventh to beat the traffic, L.A. Dodger-fan style. Not me. As my southern Baptist relatives would say… Oh, ye of little faith. Knowing that the Dodgers had probably watched the Giants struggle, and smirked and puffed up as they imagined themselves closing in on first place in the NL West… well, that was pretty enjoyable too. I took a record-high 1,281 photos at the game. I could blame a digital camera that shoots eight frames-per-second. But instead, I blame Zito and the Giants’ shaky band of middle relievers. After Barry got the hook, it took six of them — Mota, Kontos, Loux, Penny, Machi (who did great, going 1-2-3 in his first inning in the big leagues) and Romo — to finish off the Diamondbacks. Of course, as is my custom, I had to photograph them all. My forearm ached from holding my camera, and pushing down on the shutter-release button for hours. Whatever. I rubbed some dirt on it. It was totally worth it.